In ancient times the people admired the fascinating colors of the phenomena of Northern Lights as at present too. 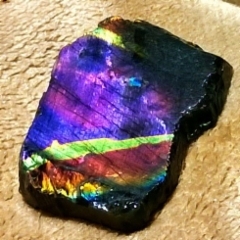 In modern times we found a mysterious stone in Finland during the Second World War; the stone reflected the colors of Northern Lights and showed us an omen of New Era. 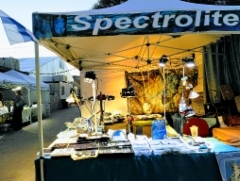 We were feeling the stone was a gift from Nature and we named it Spectrolite due to an incredibly wide range of colors. 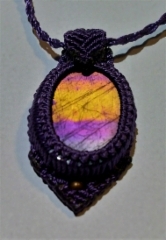 and found more new fascinating colors as Rainbow and Butterfly Wings. Thus this ancient pretty stone is linking the Nature`s history and the Future. 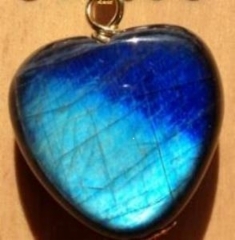 due to the largest range of colors and it is in worldwide use in jewelry and gem arts. 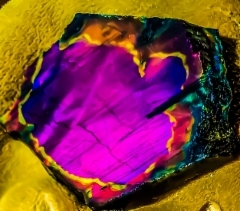 Spectrolite quarried from the rugged bedrock of Ylamaa, Finland is a precious gemstone which meets the three important basic requirements: beautiness, hardness and rarity. 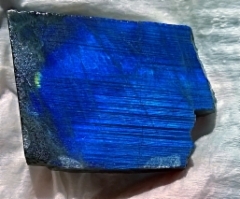 Spectrolite is a labradorite feldspar, a member of the albite anorthite series with approximately 55 % anorthite. 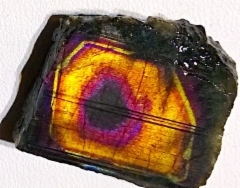 Its composition is Na( (AlSi308), Ca(A12Si208), hardness 6-6.5, refractive indices 1.56 - 1,57,specific gravity 2.69 - 2.70 and double refraction 0.008. 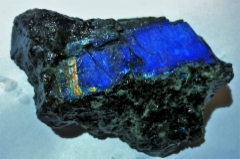 Spectrolite was found in 1941 when we were building a defense line on the eastern border. 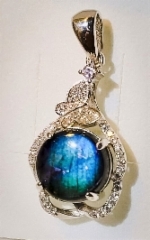 The mining of the gemstone started on a small scale, increasing in the 50s. The fascination of spectrolite bases on its richness of colors and changing tones.The colors have all the shades of spectrum reflecting the rich hues of Finnish scenery - from golden browns to darkest blue and the colors of rainbow, northern lights and butterfly wings. The play of colors is due to interference of light waves in the layers of material where light is reflected. 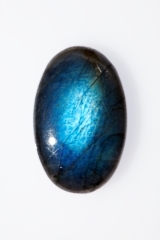 Spectrolite is regarded by gemologists and experts as the most beautiful labradorite. 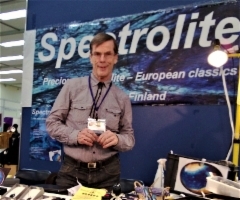 As each country is entitled to name its own gemstones, professor Aarne Laitakari, then Director of the Geological Survey of Finland, chose the name "spectrolite", obviously having in mind the large variety of the colors of the spectrum. This name has been accepted by all gemologists and trades.